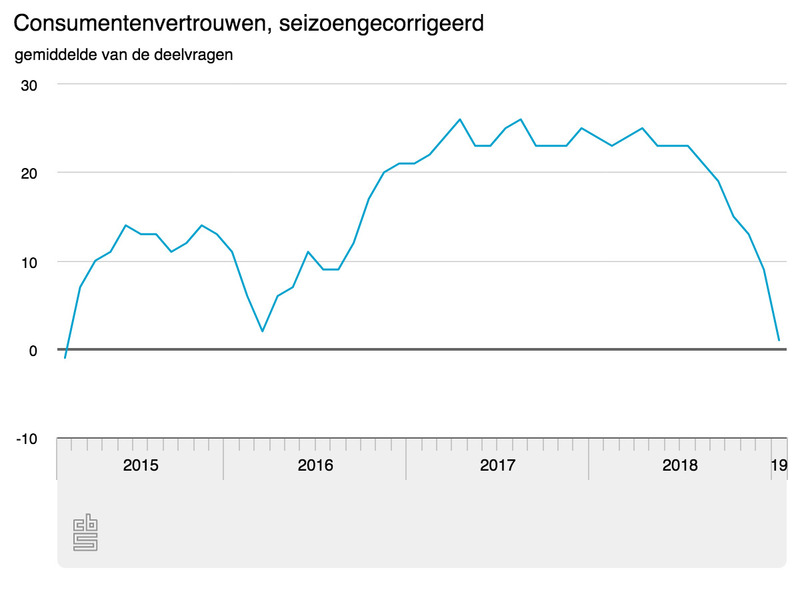 The Dutch consumer confidence index has fallen for the sixth month in a row, and January’s dip is the biggest in seven years, the national statistics agency CBS said on Tuesday. Consumers have both more doubts about the economic climate in general and are less willing to spend money, the CBS said. The index has falle by eight points to 1 this month, compared with a highest ever standing of 36 in January 2000. The index fell to as low as -41 in 2013. The CBS also said on Tuesday that consumer spending rose 2% in November, compared with the year earlier period. In particular, spending rose on durable goods – mainly closing and household apparatus.